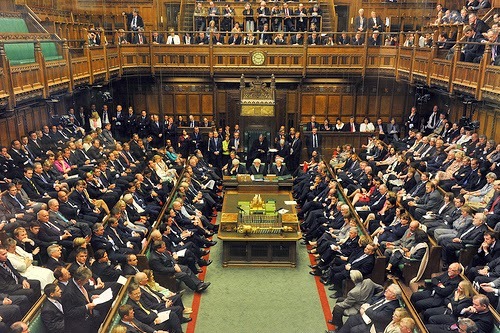 British Parliament is sovereign authority in the UK. It consist upon three branches of Government. The Crown, Houseof Lord and House of Common. It can make or unmake any law courts obey its legislation. No body can override or curtail its authorities. So, the parliament means the combination of these three institutions. The parliamentary sovereignty can understand with the following principles of UK Constitution. (ii) The complete supremacy of ordinary law through the constitution. (iii) The dependents of conventions upon the law of constitution. The Parliament has right to make any law, when it feels. And, it also has authority is dismiss the exist law. It has immunity to make or unmake any law. No body or body of person can curtail or override its legislation. The court obey its legislation and except it. This authority of Parliament extend to every part of British. Parliamentary sovereignty may describe as regard rights. These are following examples of the sovereignty of Parliament as regard to public rights. The sovereignty of parliament show by passing theses tow acts. In which Parliament pan the act of Scotland and Ireland union with British. Act of Parliament is invalid if it is oppose to the spirit of morality of peoples. In many fields the royal prerogatives operates and the sovereignty of Parliament is excluded. The sovereignty of Parliament is subject to the force of the people. The Parliament can not make against the will of people. To conclude, it can be stated that history is repeating itself in Great Britain. Initially, Parliament shares powers with British Monarch and British Monarch lost sovereignty. Now other institutions are sharing powers with British Parliament and sovereignty of the Parliament is being affected.